Fuji just announced their rumored (comparatively) affordable medium format mirrorless camera, the GFX 50R, a 51.4 megapixel camera with a rangefinder design, due in November 2018. The retail price is $4500, which, though not cheap, makes it the least expensive medium format digital camera ever upon launch. The GFX 50R’s specifications match those of the GFX 50S in many ways, with the biggest differences being the form factor – more similar to that of the Fuji crop-sensor cameras – and the lower price. A sensor measuring 44 × 33 mm isn’t quite the largest medium format sensor on the market, but it’s akin to the size you’ll find in cameras like the Pentax 645Z and the Leica S series. By diagonal, it’s 1.28 times larger than full frame sensors (0.78× crop factor), and the image quality improvement is there to match (see our GFX 50S Review). The new GFX 50R is internally almost exactly the same as the GFX 50S, but the lower price and smaller form factor – though still large – means that it will skim off more consumers who were eyeing a full-frame system like the Nikon Z7 or Sony A7R III instead. The GFX 50R is not exactly a speed demon, just like other medium format cameras on the market. Its maximum frame rate is 3 FPS, and its video specifications max out at 1080/30P. Although its autofocus system is entirely contrast detect, most of the target audience of this camera will be focused primarily on slow-moving scenes like landscapes and architecture, or potentially studio photography as well. Although this camera clearly has a more limited audience than something like the Nikon Z7 or Sony A7R III – not just because of the extra price – the high quality medium format sensor at an unusually low price is sure to turn heads. The weight of the GFX 50R is also 145 grams (1/3 pound) lighter than the GFX 50S, and only 100 grams (0.22 pounds) heavier than the Nikon Z7. Compared to the GFX 50S, aside from differences in weight, the GFX 50R has a few ergonomic differences: a smaller grip, no direction pad, and a tilt screen that only tilts up (rather than both up or to the side). Beyond the design, the two cameras are very similar in feature set, with the most noteworthy difference being the addition of bluetooth and the removal of a dedicated headphone and microphone jack on the GFX 50R. The GFX 50R produces ultra-high image quality by incorporating Fujifilm G Format Image Sensor with 51.4 million pixels, high-speed image processing engine X-Processor Pro, the high resolution FUJINON GF Lens, and Fujifilm’s proprietary color reproduction technology accumulated for more than 80 years. Its lightweight and compact body – minimum width of 46mm and a weight of 775g* – makes GFX 50R an ideal tool for snapshots, documentary photographs and portraits. • The GFX 50R uses a G Format sensor, a medium format sensor with approximately 1.7 times the area of a full size 35mm sensor which can detects more light per pixel. The sensor achieves high image quality of 51.40 million pixels, while also providing the user with excellent sensitivity and wide range tone reproduction to produce ultra-high quality images. • Its image processing engine is the well-received X-Processor Pro, which is used with X Series digital cameras with APS-C size sensors***. It also incorporates Fujifilm’s unique “Film Simulation” mode, which allows photographers to enjoy color reproduction of photographic films such as PROVIA, Velvia and ACROS used by professional photographers and hobbyists with traditional medium format cameras. • Weighing just 775g, 145g lighter*4 than the GFX 50S, and with a body reduced to just 46mm in thickness at its narrowest part, the camera is easy to carry around and store, and also achieves superior mobility. • The camera uses the rangefinder style, which the photographer can look through the viewfinder with their right eye while seeing the subject with their left eye, an approach that helps the photographer shoot while taking in the atmosphere of their chosen scene. • The electronic viewfinder has a magnification of 0.77, and uses a high resolution 3.69 million dot organic EL panel. Accurate focusing is also possible even when shooting with the large sensor for medium format size, which has a shallower depth of field than the 35mm full-size sensor. • It includes a Focus Lever, the popular feature of X Series models, which provides instantaneous control of the focus point while letting the photographer to maintain a firm hold on the camera. The upper surface of the body includes both shutter speed and exposure control dials for simple operability. In addition, the dials made of aluminum give the camera a classy touch, while enabling a smooth click when they are rotated. • Its strong magnesium alloy body is sealed in 64 different places to provide dust and weather resistant, and it is also capable of operating in environments as cold as -10°C. Its tough, durable body meets the needs of professional photographers. • It can be used in a wide variety of scenes together with all of the 11 FUJINON GF interchangeable lenses included in the new development roadmap announced today, which cover a range of focal distances from 23 mm (equivalent to 18mm in the 35mm film format) to 350 mm (equivalent to 277mm in the 35mm film format). In addition, all of the Fujifilm GF lens are equipped with a resolution sufficient to handle 100 million pixel sensors and are designed for an extremely wide range of usage conditions, through dust and weather resistant, and capable of operating in environments as cold as -10°C, ensuring the camera can withstand the harsh conditions faced by professional photographers. • It is also fully compatible with tether shooting software, an indispensable tool for professional photographers, including HS-V4 for Windows and the Tethered Shooting Plug-In PRO for Adobe® Photoshop® Lightroom®. 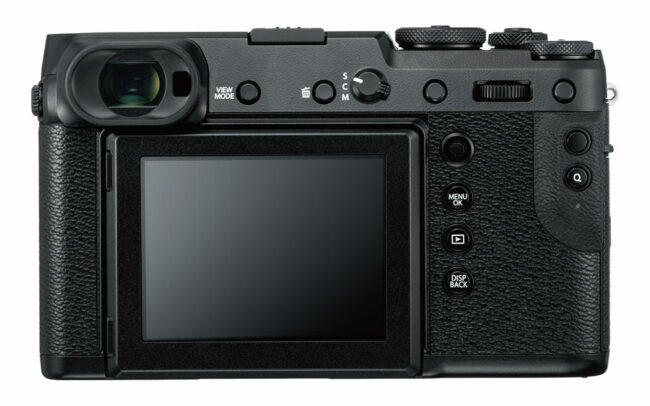 The camera is also compatible with Capture One Pro FUJIFILM*5. This allows photographers to harness the camera for various shooting techniques in the studio, adapting it to various workflow categories. • The GFX 50R is the first camera in the GFX Series to include Bluetooth® low-energy technology. Photographers can use the FUJIFILM Camera Remote application for use with smartphones or tablets in order to send images quickly and easily to a device registered in advance with the camera using the pairing feature. • The 35mm format mode which records only the central portion of the sensor (36.0mm x 24.0mm; equivalent to approximately 30 million pixels) can now be used with a FUJINON GF lens or the interchangeable SUPER EBC FUJINON HC lens for medium format film cameras, The 35mm format mode works well with the FUJINON GF Lens, which shows extremely strong optical performance, providing a brighter image while keeping high resolution even in corners. • The 35 mm format mode and other new functions will also be available for the GFX 50S users following firmware updates*6. There’s a lot to like in what these two new bodies *promise* buyers. It’ll be important to learn what lenses are currently available and what additional focal lengths will be introduced in 2019. These will likely appeal most to landscape and architecture photographers. Larry, it is a great system and Fuji is doing the right thing by introducing a lower-end, more affordable medium format camera. The lenses are exceptionally good and they are ready for the upcoming 100 MP sensors too. Ash has already provided a link to what Fuji is planning to release in the coming years. MF lenses are released on a less frequent basis compared to FF and APS-C, but it is a pretty solid line-up already and more lenses are coming soon. I am very interested in these cameras at this point. Lately my photography has been evolving from more action oriented shots of pets to more portrait type shots. I really like what my current lineup of cameras (use Nikon D500’s or OMD-EM1 Mark II’s, Nikon much more often than Olympus at this point) can do for almost everything, but recently used a medium format film camera to achieve a different look. I am seriously considering using MF film much more often. I can definitely charge more for this type of photography / look and suspect these Fuji’s could allow me to achieve much of this goodness in a digital format. Time will tell whether I can justify the expense (will let the market decide) but I am far more interested than before. I love Fuji’s minimalist style with this one; 5 buttons without any label! Fuji has certainly been doing a great job with its cameras and lenses and the G system is wonderful. The price point of the cameras and lenses is coming down and you can imagine what the 50R is going to cost in a few years, especially once 100 MP goes out on the market. I like the idea of the camera but is it enough to buy? That’s the hard question. It’s only one stop better than FF. So would I rather have a D850 or this? That’s a hard choice. This would have a bit better IQ but the D850 is just a better all around performer. There aren’t any real small lenses with the minMedium format. 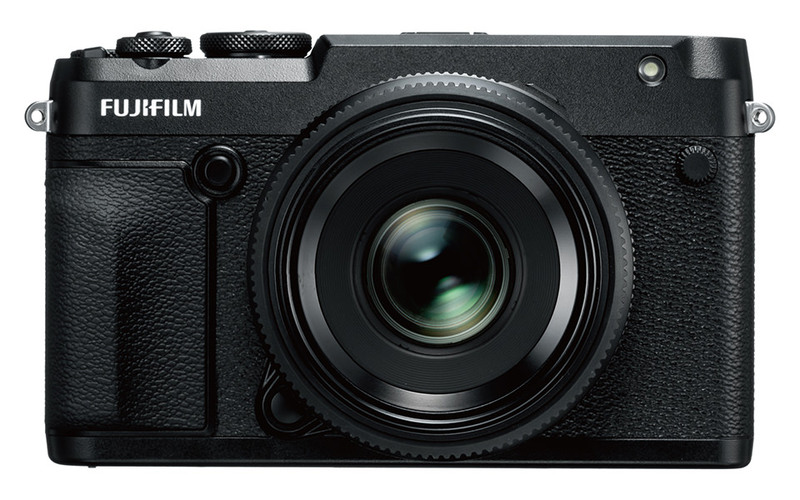 I’m glad Fuji found a way to make a lower cost version of the camera but that sensor is pretty long in the tooth now. What is really interesting is the possibility of a Foveon FF camera with L mount. Not in my wheelhouse but it’s very interesting what Sigma announced for next year. Yeah, maybe if Sigma goes for Foveon full format they will be able to produce a camera that can use ISO 800 finally without pictures looking like they have been shoot thru the extremely dirty window. As for a Foveon FF sensor, I am personally looking forward to trying it out. I think there is a lot of potential there! The fuji is not even one stop better. It is more like 2/3 stop, since the sensor is only 68% larger. It isn’t full size 645 sensor. Photonstophotos DN difference for 50S vs D850 is only 1/3 stop at base ISO. Generally, one could easily compensate by opening full frame lens by 2/3 stop and using lower ISO. Fuji lenses are not so fast, though I like their compact size. Also, if other features like frame rate or 4K video counts, then medium format has not much to offer at this time. You are not a photographer. You are a fanatic that feeds on camera specs….Its a shame for what you have been missing. Use the camera before you regurgitate the specs..Very unfortunate indeed!! In the old film days, I used a Mamiya RB67 Pro S because the results were noticeable better than the best 35mm SLRs. Today, I’m not sure that the current MF is noticeably better than my D850. Correct. MF film (which was typically three times the size of FF) was required if you wanted to print anything over A4, simply because grain would rapidly become apparent when enlarging FF negatives, even at ISO 100. There was no way to view your pictures electronically in those days! [drum scans would go straight to offset-litho printers]. The equivalent today is the MP count, and 24mp is plenty for A3, 36mp plenty for A2, so these 50mp sensors are really only ‘required’ for gallery sized posters. Totally irrelevant if you only view output electronically. The ISO noise argument is also spurious, since if you’re using MF you will probably be in a studio or use a tripod anyway. Main real world use for MF is professional studio photographers, where a (Hasselblad) larger body is easier to use ergonomically over long period. These small MF bodies don’t help there either. That is the best part of the announcements at Photokina. The Fuji GFX range now works with C1. I would go with the 645Z from Pentax. Their older legacy manual focus lenses are superb. I even had the A*600 tele that got me great wildlife shots of still or slower moving subject as well as landscpes. The dynamic range is unbelievable in this rig. BUT, and this is a big but, you cannot get these Pentax cameras serviced as Ricoh uses a contractor to fulfill their warranty work and they never answer the phone or return emails, and I mean never! I shoot with a D850 and a GFX 50S. Its not as simple as talking about marginal differences based on dynamic range. The look of the GFX images is totally different to 35MM FF. Also, something that is not that much commented on is the difference in aspect ratio of the sensors and the resulting files. Particularly in portrait mode, the “MF” sensor is much less likely to need to be cropped to achieve a pleasing aspect ratio, so the effective resolution of the sensor is greater in that situation. Both systems have their place and are complementary rather than competitive.